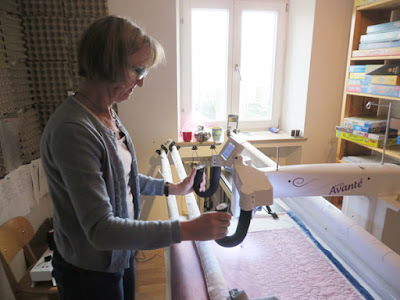 Monday and Tuesday I was busy being schooled by Patricia of Handquilter, who had come from Göttingen to get me started on my longarm. She checked out whether we had set up the table correctly, how the machine was rolling on the rails, suggested a different height of the frame - and then took a look at the machine itself. Because I had been complaining to her directly that it was leaving out stitches during the days before. But she quickly found what she thought might have been the reason, namely a not quite correctly adjusted presser foot. We checked the youtube-video that tells you how to adjust that, followed it step by step, and after that it was only with really strange threads or incorrectly adjusted thread tension that the machine mucked up. Now it will be a couple of weeks of practising before I dare take a real quilt onto the frame. But I am looking forward to it. And there are several pieces waiting in line, so I will be busy. As I have also been busy with the refugees. 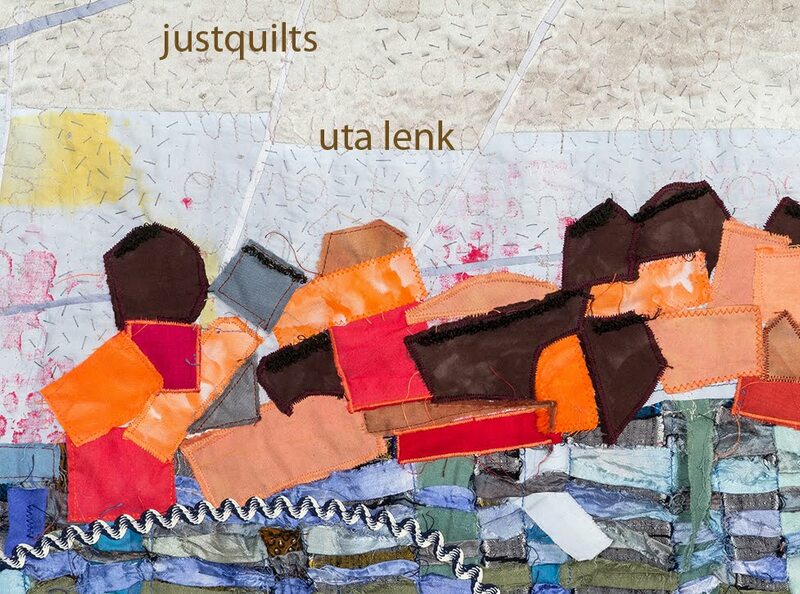 It will now be a learning process not only of working the machine, but finding the good balance between my involvement with the refugees' issues and finding time for this new aspect in my quilting life. I'm glad that you managed to work through your issues. Sounds like time management is going to be high on your agenda. I really hope everything will go well now.